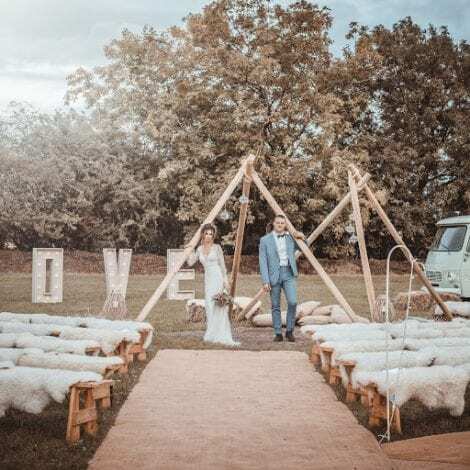 We are delighted to be able to feature the beautiful wedding of Gemma & Steve on our blog. 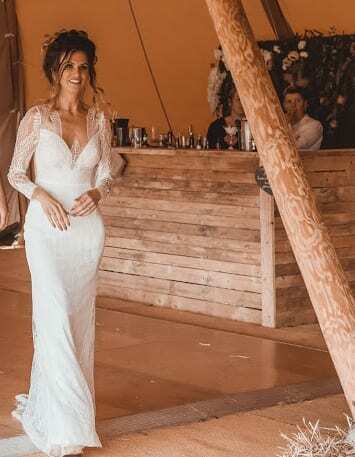 The bride chose her dress at Morgan Davies and planned a very personal and special wedding with her partner, which is an absolute inspiration! Gemma and Steve had been together for 4 years when Steve whisked Gemma off to Rome for her birthday and proposed to her in Italy. They were married exactly a year after the proposal. 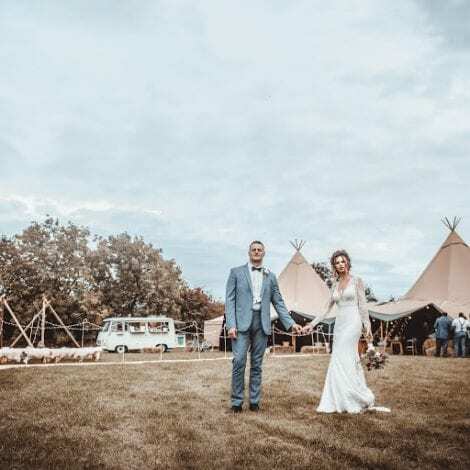 They decided from the outset that they wanted a very personal and relaxed wedding, so they chose Tipi’s from The Natural Tent Company for Steve’s parents garden and had their marriage blessed by humanist celebrant Jackie Hartley from Letchworth. 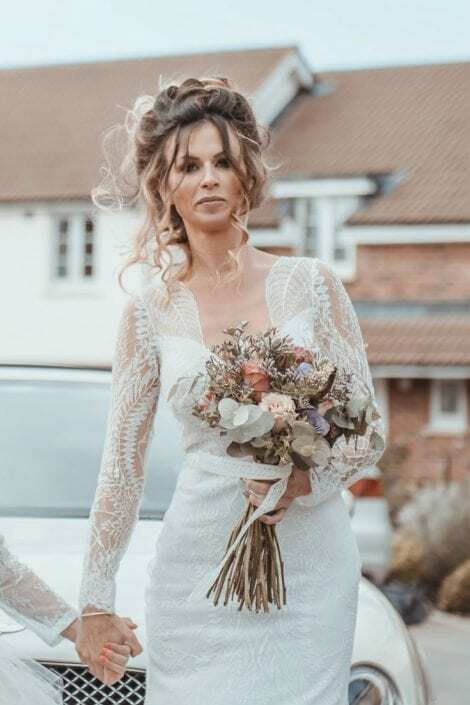 When Gemma started to look for her dress, she had no idea what she wanted, except maybe a dress with sleeves. The second shop Gemma visited was Morgan Davies in Hitchin, where she tried on ‘Nuria’ by Anna Kara. 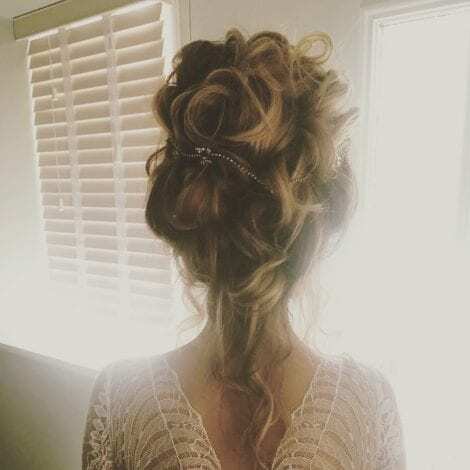 Gemma decided that the only accessory she wanted was a delicate hair jewel so as not to take any attention away from the beautiful detail of the lace, especially on the back. 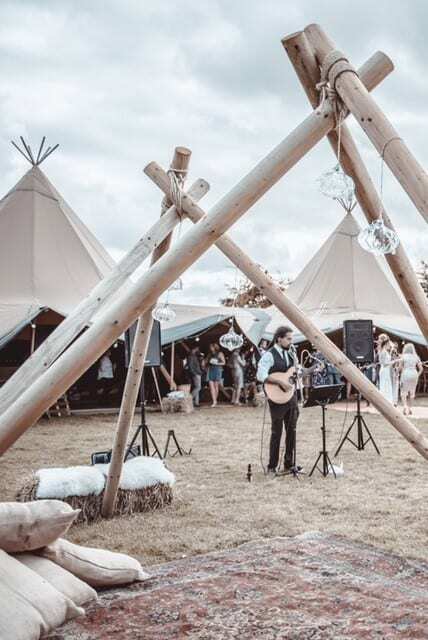 Gemma wore some tan leather wedges that she already owned which were perfect for her festival feel wedding, and extremely comfortable! 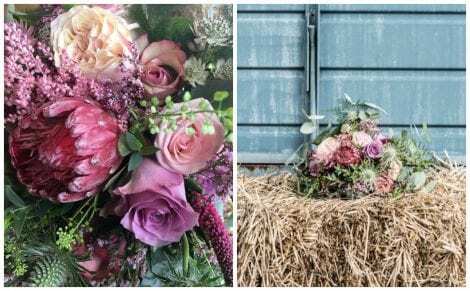 For wedding inspiration Gemma and Steve turned to Pinterest and Instagram. They didn’t have a particular colour scheme in mind, so they used light and fresh colours which worked perfectly together. To keep the very unique and personal touches to their celebration they wanted to make as much as possible themselves. 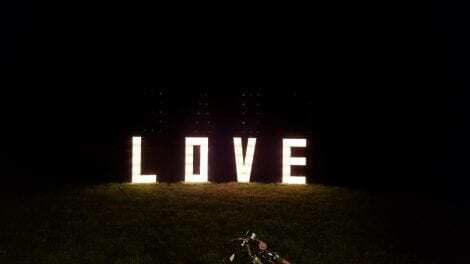 Steve made the 4ft high light up LOVE letters, and the drinks bar. 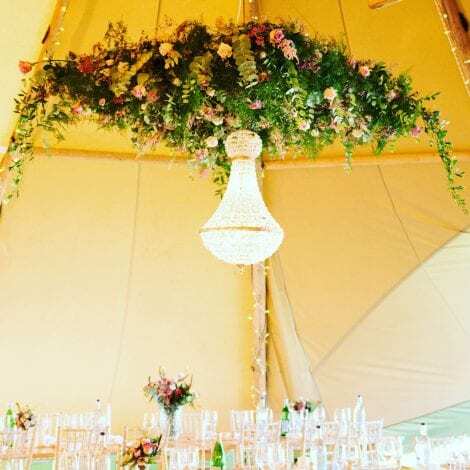 They also made the wild flower wall and the photobooth backdrop using a chandelier and vintage dressing table found on eBay. 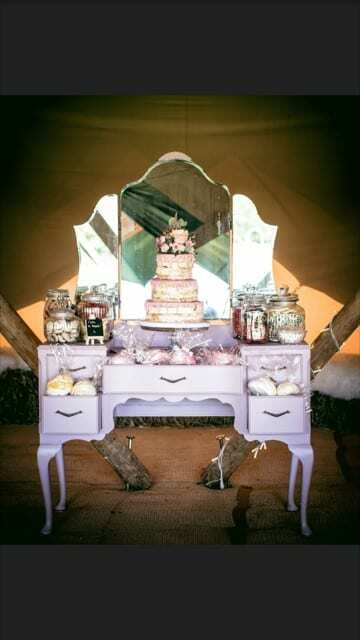 All the items this talented couple made are now available to hire @littlegems_weddinghire. 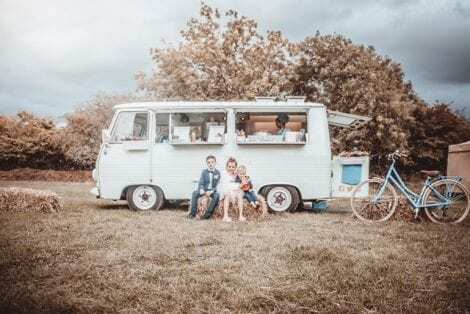 The food and entertainment at the reception was carefully planned to fit in with the very relaxed vibe of the wedding. Carribean food was served by Coco Labelle from a food truck whilst brilliant live music was played by Leon Bratt. Later on in the evening guests were entertained by a stilt walker and fire eater! 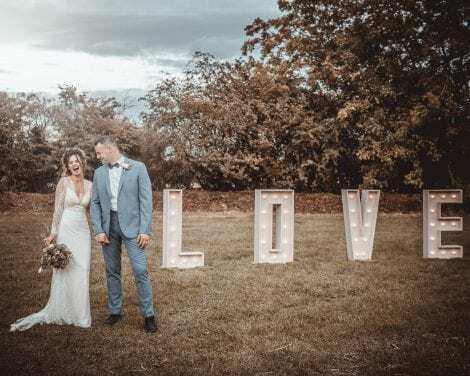 Thank you Gemma and Steve for allowing us to feature your beautiful and inspirational wedding on our blog. 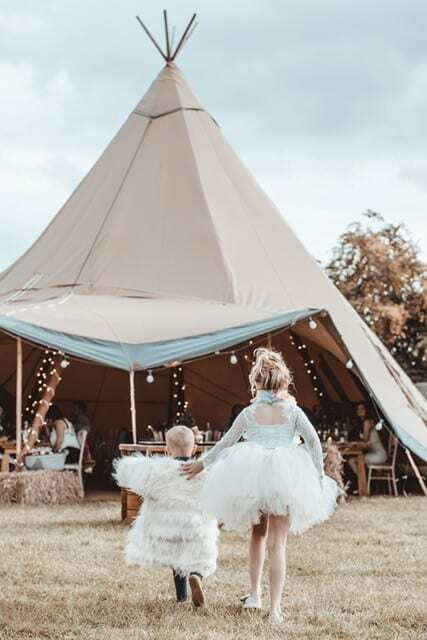 Thank you Clare Davis Photography for your fabulous photos. 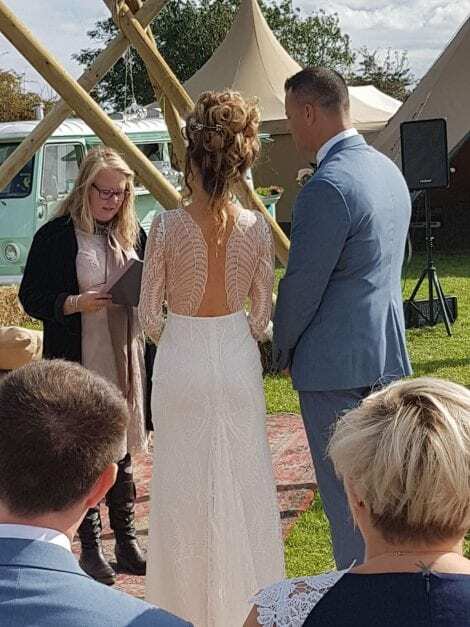 It is always a treat to see the lovely wedding dress on the wedding day!